He doesn’t have hit singles. Nor does he fill stadiums. 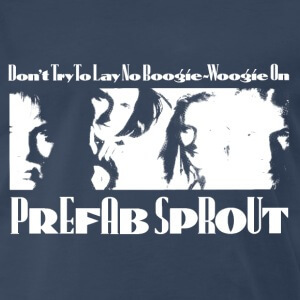 But nevertheless, with his band Prefab Sprout he changed pop music. For many years he has given no interviews, but now he has finally made a new record. A visit to meet Paddy McAloon. I’ve waited twenty years for this moment. And then the plane is delayed, the train for the connection is long gone, the directions from the station don’t match the city and the actual streets, and anyway England has too many roundabouts, too much traffic, the policeman who helps speaks in with an inpenetrable dialect, the hotel doesn’t have an entry facing the street, but at the back, and how on earth are you supposed to know that, and why is it still so warm here in September? 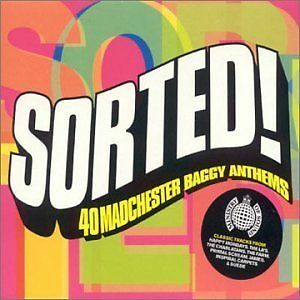 And so here I am standing in the lobby of the Marriott in Durham, completely out of breath, red-faced, but ready, and finally in front of one of the last great mysteries of English pop music. 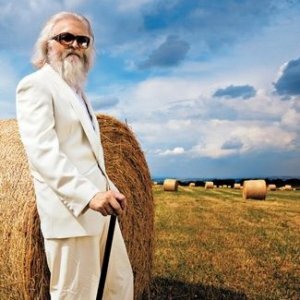 Paddy McAloon is wearing round blue sunglasses over his glasses. And a dark blue velvet suit. And a long white beard and long white hair. He looks like Dumbledore from Las Vegas. He hasn’t had a real hit with his band Prefab Sprout for thirty years, he doesn’t fill stadiums. Eventually he gave up playing concerts, but one album by one, he transformed pop music. And now he has a new record, and is suddenly available to speak to the press, which has come from all corners of the world to the North of England, where many very different kinds of pop singers were born: Bryan Ferry, Sting, Morrissey of the Smiths. But none of them make pop music quite like Paddy McAloon, intelligent, dazzling, and bordering on kitsch – indeed very often even going beyond. He wrote smooth, soulful, elegant, cryptic hymns, in truth too glamorous for the twists and turns of medieval Durham, where McAloon has always lived, but that’s not what it’s all about, it’s all about the longing for a place that shines brighter and more clearly, a place you can never reach, except in the four minutes of his songs. They have titles like “Cars and Girls”, “Electric Guitars”, “Cowboy Dreams” or “Andromeda Heights”. In fact it’s enough just to hear the titles and not the music, for some people that’s already too much. And that’s the other truth about Paddy McAloon: he divides the world into people who love or hate him, rather like Woody Allen or Bayern Munich. But at the moment, Paddy McAloon is only concerned that I get something cold to drink: “I’ve only been driven over from Consett,” he says to the waiter, whom he has thanked for the water about eight times, “but this gentleman here has just flown in from Germany.” And so it goes on and with the utmost courtesy, Paddy McAloon stops himself when he interrupts me, he laughs, especially about himself, he smiles and reflects again, and at the end of the conversation he even asks if everything was OK. With every minute that passes one wonders where his reputation as an inaccessible, difficult, hermit came from. That is somewhat capricious. Paddy McAloon has released nine albums since “Swoon” in 1984, the breaks between them have been getting longer and longer over time, but it was not really like that, because McAloon was working on new projects during those periods, thirty or forty of them : a concept album about Michael Jackson, another called “Jeff & Isolde”, a “Symphony of Snowflakes”, a duet for himself and Barbra Streisand. And now, in the early fall of 2013, there’s finally a new record, thirteen years after the last, it is to be released on Friday. It’s called “Crimson / Red” and is as ingenious, crazy, and sentimental as anything Paddy McAloon has written since “Steve McQueen”, his masterpiece of 1985. Does he sometimes think of his fans waiting for a sign of life, who have to listen to the old stuff again and again waiting until there’s something new? That’s why you don’t necessarily associate the songs of Prefab Sprout with landscapes or particular years, but rather with emotional states. This makes the music no less associative, but it is timeless. If McAloon was a director, it would be Terrence Malick, terrible and irritating to some, but a revelation for the others waiting for new works; a bit like comets – they’re about as likely to appear after all. Were he a writer, one would call him a writer’s writer, admired by other writers who are more successful than him, but who walk in his footsteps. Coldplay for example. Their huge hit “Viva la Vida”, as McAloon says himself, sounds almost as if he had written it. And actually Paddy McAloon is a writer, if only for a few lines, which he sings with a voice that has softened over the years, so that he sounds younger today at the age of 56 than he did in his mid twenties: “But you’re only as good as the last great thing you did,” he sang back then, but it’s best not to start with the quotes, it won’t end well. It’s really hard to stop with the quotes. You don’t have to do either. 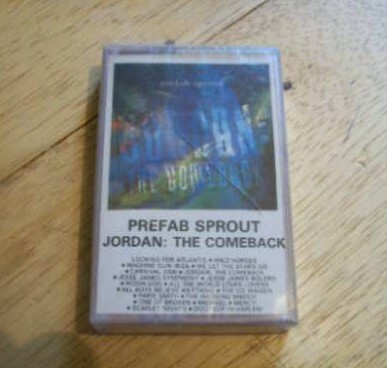 You just need Prefab Sprout records. Special thanks to Tobias for providing the original English quotes.